To make these simply mix all the dry ingredients (Baking Soda, Epson Salt, Dead Sea Salt, Citric Acid and Organic Corn Starch) in a bowl and all the wet (Dye, Noble 8 Elixir, Colloidal Indium, and Himalayan infused Coconut Ormus Oil) in another. Then slowly add the wet to the dry and then mixing it up so it doesn't react and fiz. You want to save the fizzing until you throw it into the bath. Then once the mixture gets firm enough that you can shape it you put it into the mold and let it dry and harden. 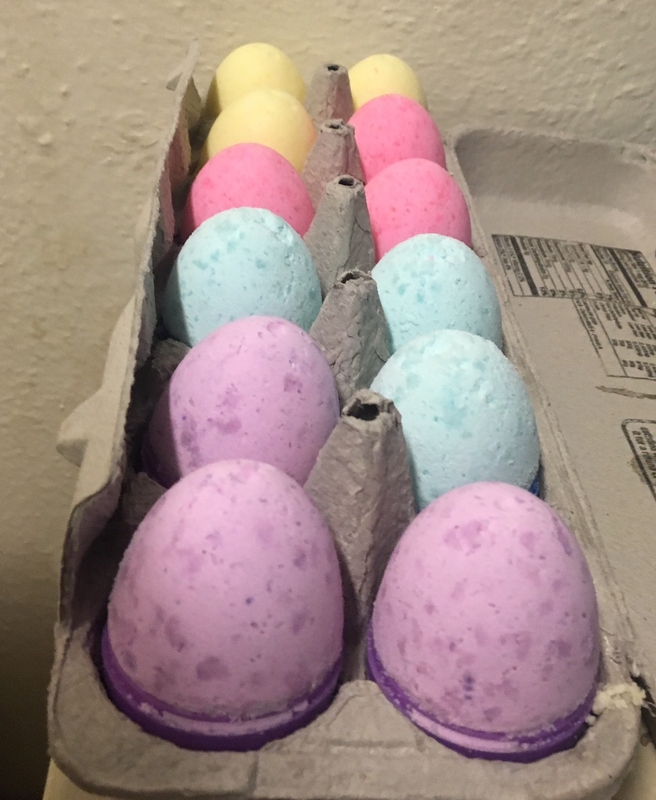 To keep these protected I will keep the finished bath bomb in the egg shell.